This new swell literally showed up to the Telo Islands right on the button. It was forecasted to start showing yesterday around noon and that is exactly what it did. 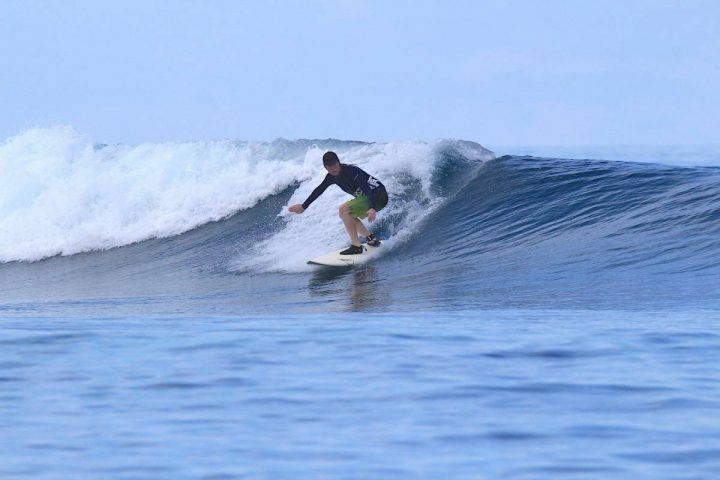 Before they knew it, the guests at Resort Latitude Zero were locking into beautifully clean lefts and rights. The guests had a magic afternoon full of clean lines and lemon light. Bintang alley was in full effect with great tunes, beers and soaring stoke levels. This little bump should stick around for a day or two making the back half of this week a memorable one. We have a bit of weather around but with our knowledgeable guides and sea worthy speed boats we should have a fine new batch of photos to share on Friday. Stay tuned!